It's a rare occasion these days that I manage to find the time (or the money) to treat myself. It would seem that I've reached a point in my life where, if there's ever a spare pot of cash floating about, I'd much rather either spend it on the kiddies or on buying pretty, fancy things for our home, but certainly not on things for myself. 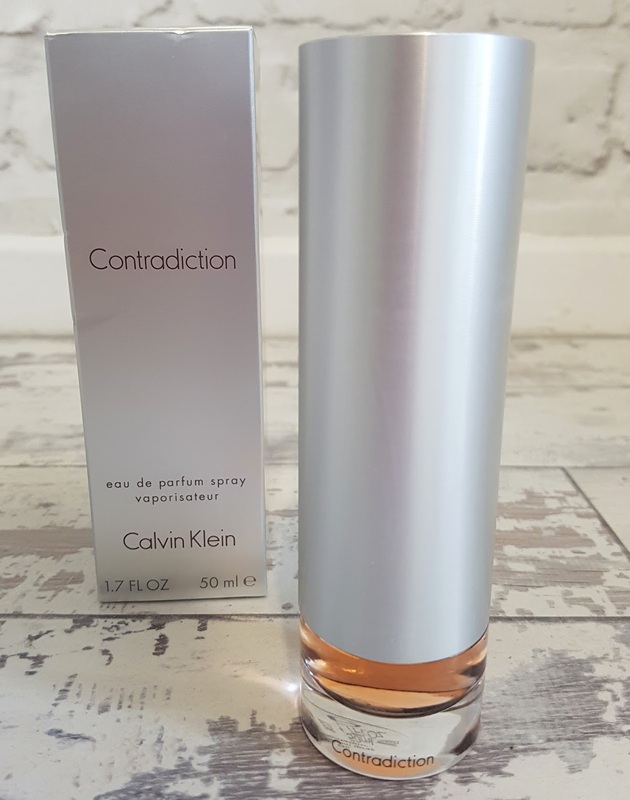 A bottle of Calvin Klein Contradiction no less. Contradiction is actually not a fragrance I've ever used before, in fact the only Calvin Klein scent I have had (and loved) in the past was one I bought years and years ago when I went abroad to Ibiza with my family in my early teens. I thought I was uber special stood there in duty free buying my very first perfume - a bottle of CK One. But back to this rather fancy bottle. According to the official makers, the perfume contains pepper flower, jasmine, peony and sandalwood to name just a few of the ingredients but because I'm no scent expert I'm just going to take their word for it. 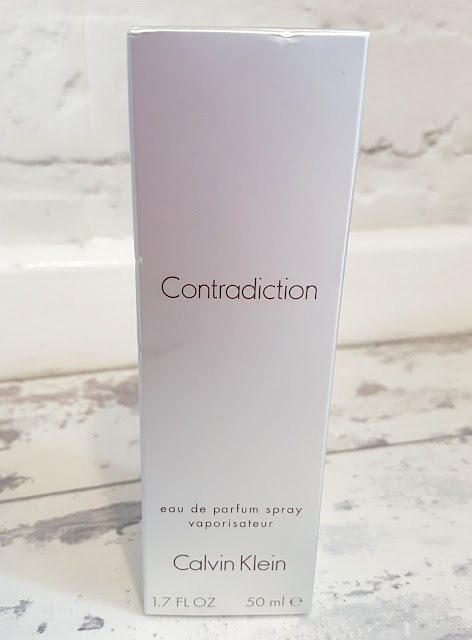 However what I do know is Contradiction is beautiful. 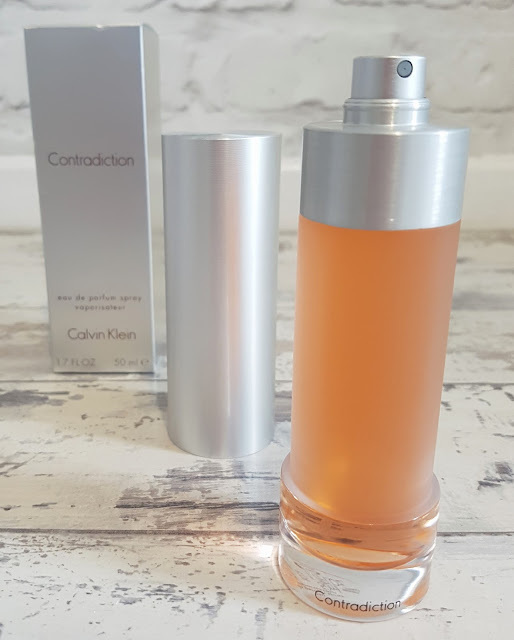 It lingers on the skin, without being overpowering or overbearing, for a long time after it is first applied and it is just very pretty - not fruity nor musky or too floral...it is really just a very sophisticated scent. And I blooming love it. And, after such positive views from myself, wouldn't it be fab if there was a little treat in here for everyone...?